There's joy in listening to a great tune but nothing beats the experience of playing it for real. 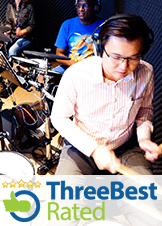 Awaken your musical ability as we unlock your potential to play the drums through our breakthrough classroom approach. Come believing and experience the impossible. The XPerience module is a short 3-week trial class designed for the complete novice to experience and embrace music from within. Be exposed to the drums and awaken the power of rhythm in your life. Receive up to BM$50 by attending this module. BM$ can be used to offset future course fee payments. i) interested in picking up the Drums. iii) who would like to experience playing another instrument without the commitment. ii) experienced the touch of your selected instrument and know if it suits you.